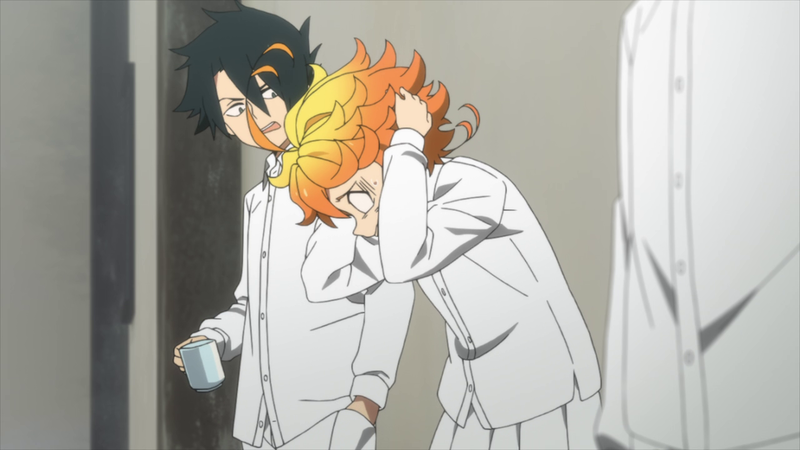 Major spoilers for The Promised Neverland up to Episode 4. 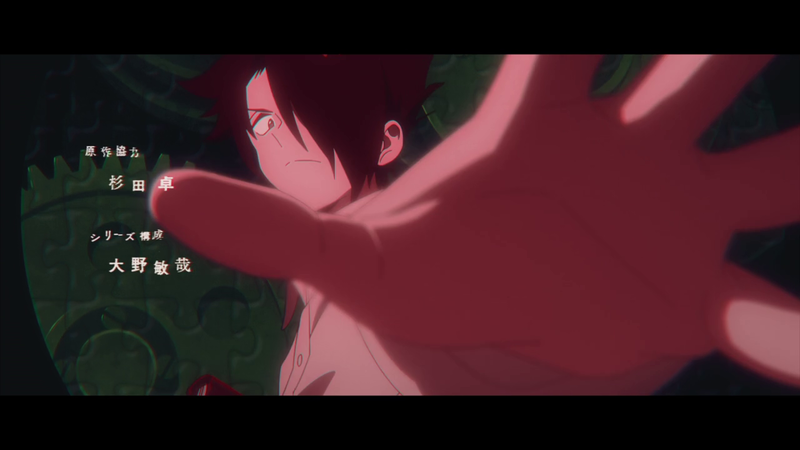 The fourth episode of The Promised Neverland ends with Norman accusing Ray of being the traitor in their midst. Much like Gilda considers Emma’s temperament before choosing to believe her about Conny and Mom — this is a quick reminder for us, as an audience, to consider the personalities of these characters when discussing and evaluating their actions — what we know of Norman’s disposition plays into how much we believe him. Norman isn’t the type of person who would confront Ray in this fashion if he wasn’t completely certain that Ray’s loyalties were in doubt. Backtracking through the episode with the knowledge that most of Norman’s machinations are in service of this accusation reveals that the camera has been hinting that Ray is the traitor, or that Norman suspects Ray of being the traitor, through certain angles and framing. 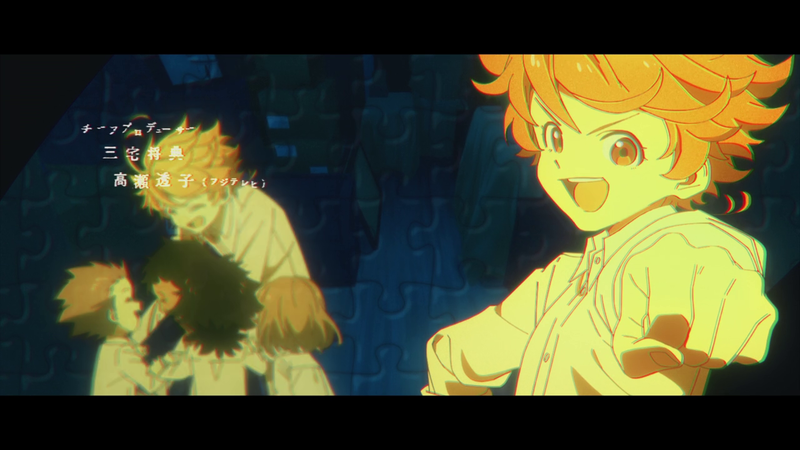 In the opening sequence, both Emma and Norman look into the camera directly while Ray breaks eye contact and looks away from it. In his forward-facing shot, Ray walks to place his hand over the camera — an action that belies his dishonesty. There’s something that he’s about to do that he doesn’t want the series’ camera to see. 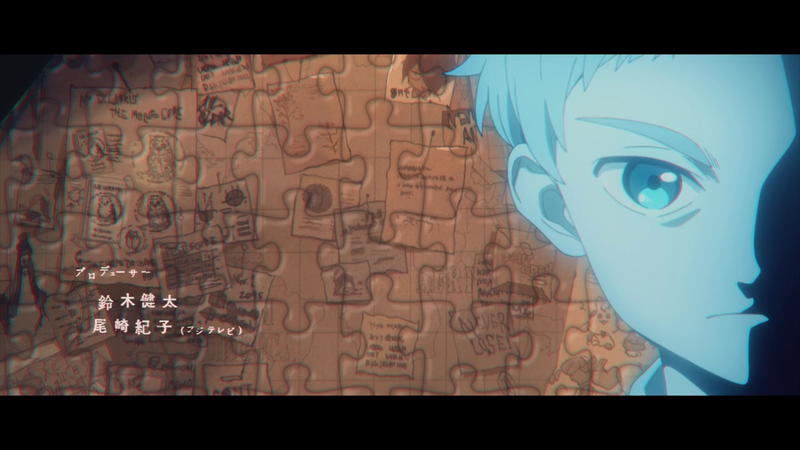 For brevity’s sake, this post will only cover the fourth episode, but the visual direction of The Promised Neverland has been deliberate and purposeful. There are myriad nods via camera angles, lighting, and framing that set up Ray to, if not be the traitor, then have some sort of secret that he is hiding. This begins with the opening sequence, which repeats at the start of each episode as a visual reminder. 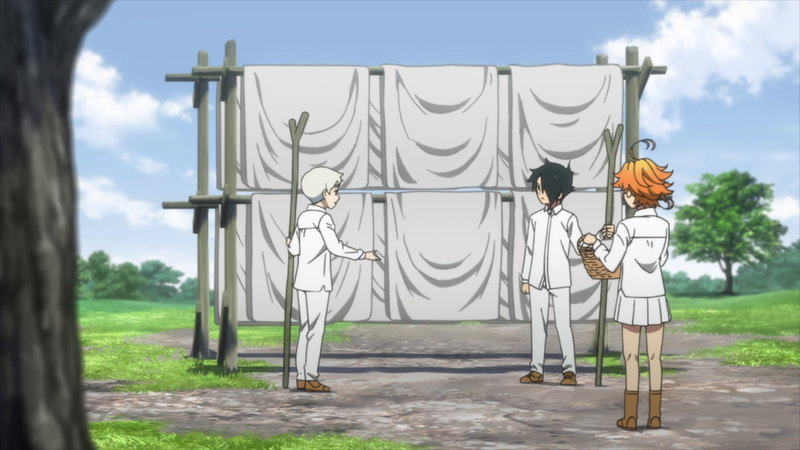 The Promised Neverland‘s fourth episode opens with Norman setting what we learn at the end of the episode was a trap to catch Ray and transitions to a conversation between Sister Krone and Mom Isabella. 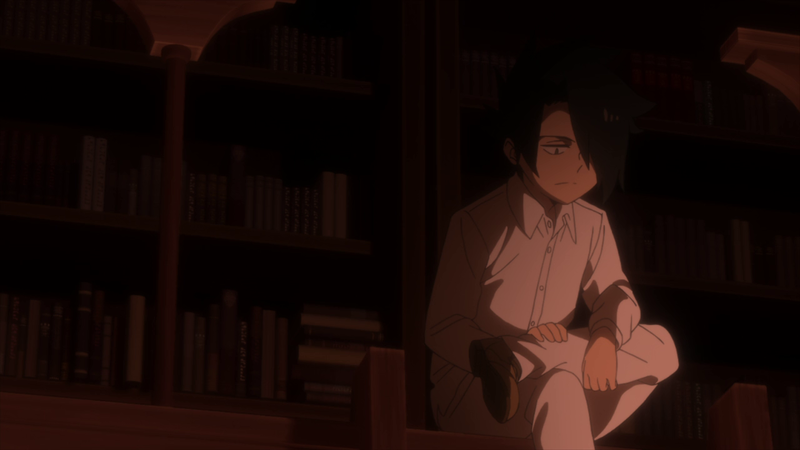 Their conversation seemingly has nothing to do with Ray other than to remind us that Isabella is trying to stay ahead of the children’s escape plans while fending off Krone’s ambitions and raising the children as choice meat cuts for the monsters. At second glance, it gives us insight well before Ray says it himself to Norman later in this episode as to why someone would buy into this system. Isabella and Krone are human adults raising human children to feed to monsters. Presumably, they traded something for that privilege of living as adults in a world of monsters. By placing Krone and Isabella’s respective personal strategies for survival in the opening scenes of this episode, it frames Ray’s actions as well. 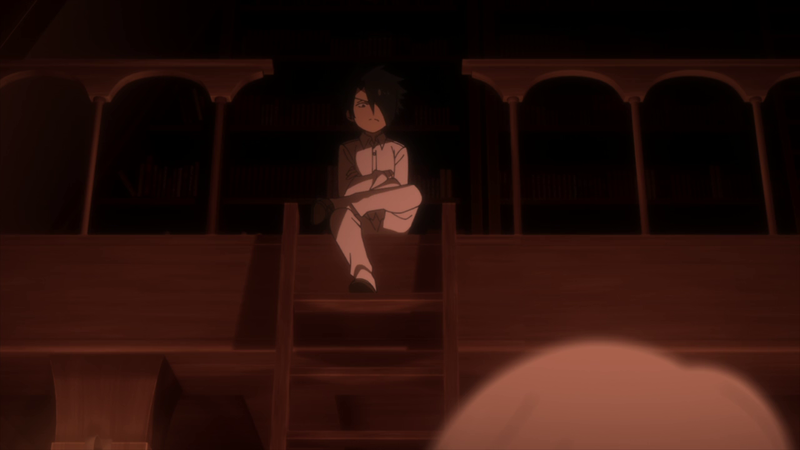 As early as the main trio’s first conversation of the episode, there are shots like the one above that place Ray at the forefront of Norman’s thoughts, even while Norman is speaking directly to Emma. He’s also visually separated from them at key moments as they continue to discuss their escape. 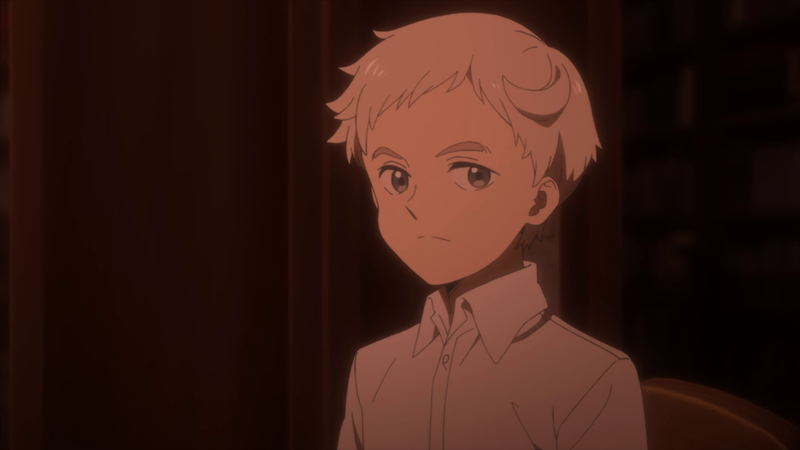 Emma is not privy to Norman’s plans because Norman doesn’t want to disappoint her — as evidenced by their one-on-one conversation later in the episode — but there aren’t many reasons for Norman to leave Ray out unless Norman suspects Ray. Here, Norman watches, out-of-focus in the foreground, as Ray reminds Emma that she needs to suspect her friends and family. This transitions into a shot where Norman is visually shielding Emma while talking to Ray about the tracking devices, effectively changing the subject. 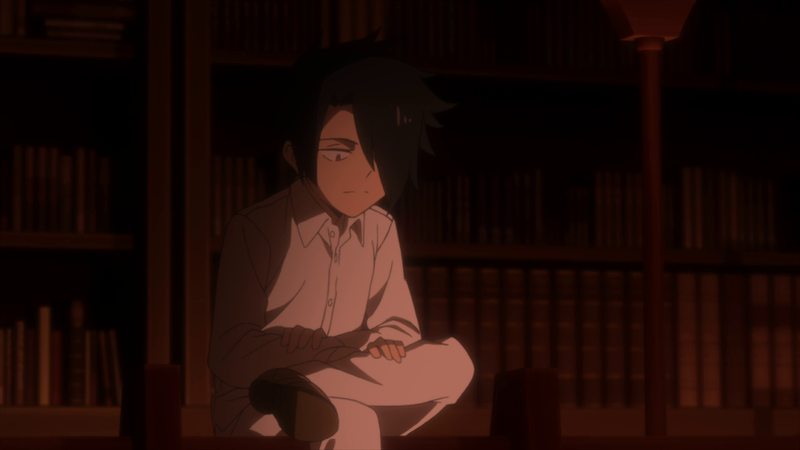 Given the snapshots of Emma’s thoughts that we receive as she thinks about who the traitor could be, she doesn’t think of Ray (or Norman for that matter) because she trusts him implicitly. Yet, Norman changes the subject anyway due to his own distrust of Ray and his love of Emma. When Norman, Emma, and Ray reveal the truth to Gilda and Don — also operating under the assumption that they could be the spies — Ray takes a passive role of watching over the entire scene. The only time he moves is when Norman startles him by lying to Gilda and Don about what happened to Conny. 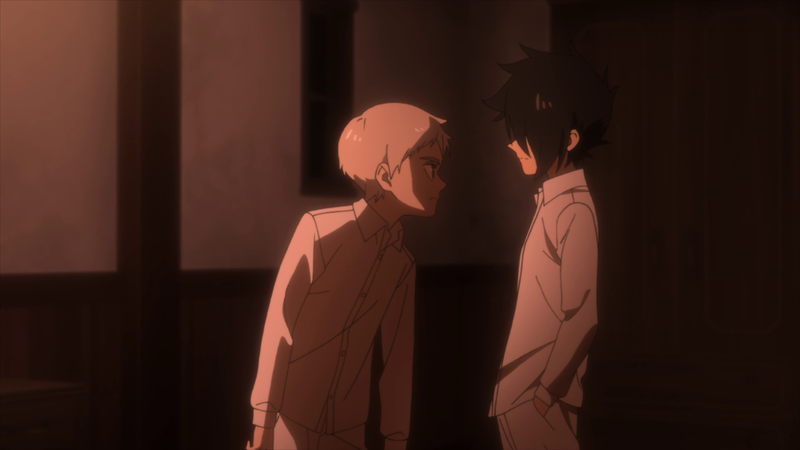 In this moment, Norman’s head appears awkwardly in the foreground, showing the Ray is watching him, but also the Ray has been thrown off a bit by Norman’s lie. 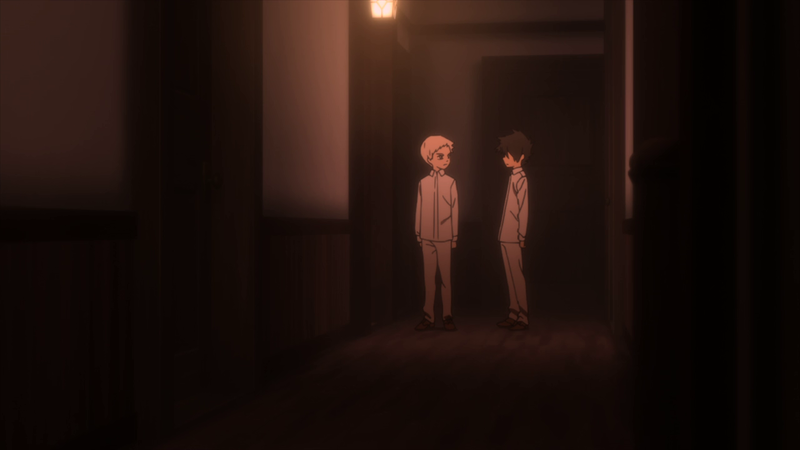 This could be due to a number of reasons: Ray thought that he was completely in the loop but this shows that Norman is keeping certain cards closer to his chest than expected or, as he says later to Norman in the hallway, the lie that Conny could be alive is cruel and gives them false hope, considering what actually happened to her. The library scene ends with Ray passively smiling a bit before cutting to Norman watching him. 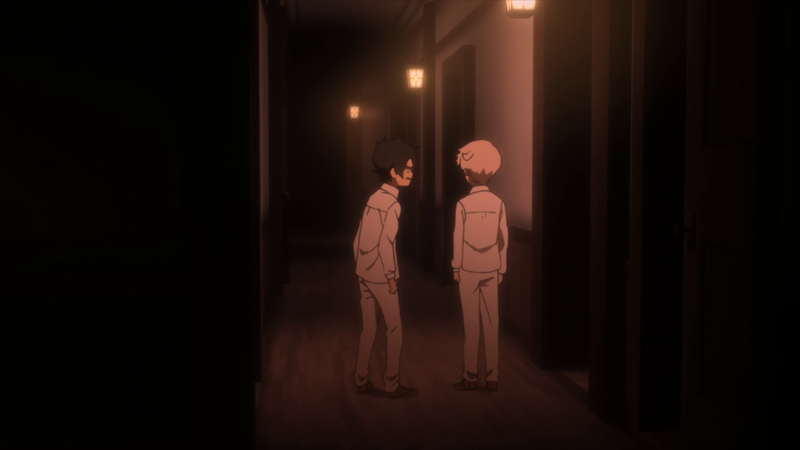 When Norman and Ray have their chat in the hallway after Emma, Don, and Gilda leave, Ray’s face is purposefully obfuscated by his hair as Norman reveals his trap to catch either Gilda or Don as the traitor. The two are shot from a distance, indicating that someone else is watching them. 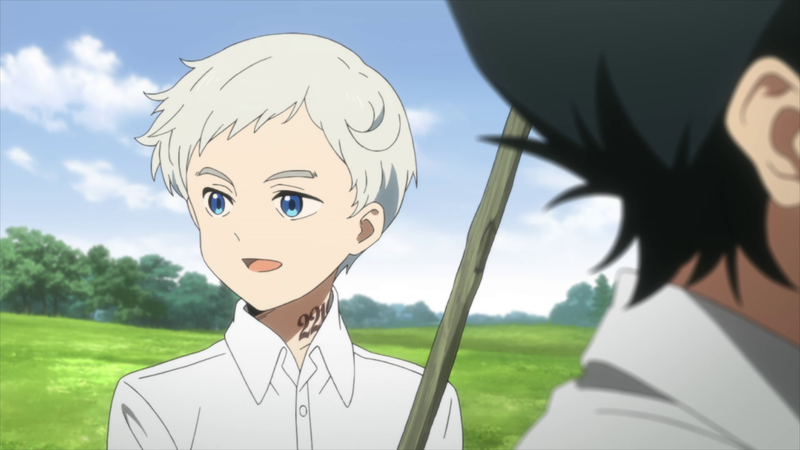 Norman then has two key conversations, one with Ray where he muses as to why one would become a traitor, and one with Emma, where she makes it abundantly clear that she would bring such a person along anyway, since their safety wouldn’t be guaranteed after the escape and that none of their siblings are bad people, even if one is an informant. This reiterates the context of Krone and Isabella’s conversation at the start of the episode — presumably they were forced into a situation where they chose to take up a position as an informant in order to survive. 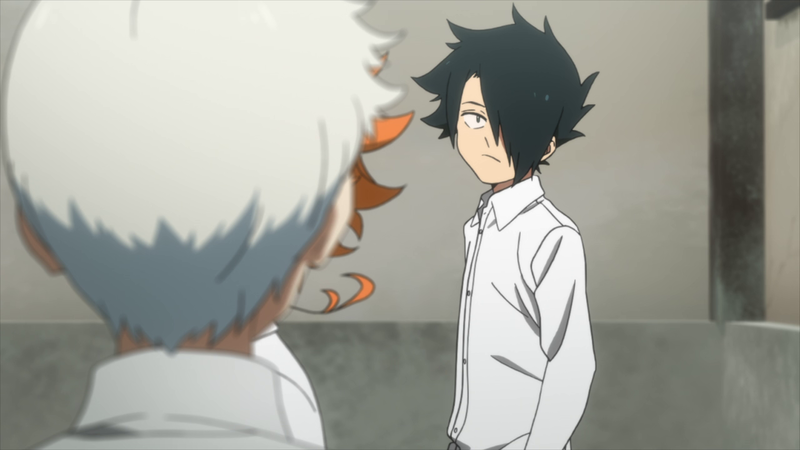 The Promised Neverland has had strong visual and conversational bookending over the past few episodes and Episode 4 continues this trend with that reminder of why a traitor might accept the system before Norman accuses Ray. Like the scene in the hallway, Ray’s face is hidden when he and Norman are placed side-by-side in the shot. I stumbled upon these articles and couldn’t be happier I did! 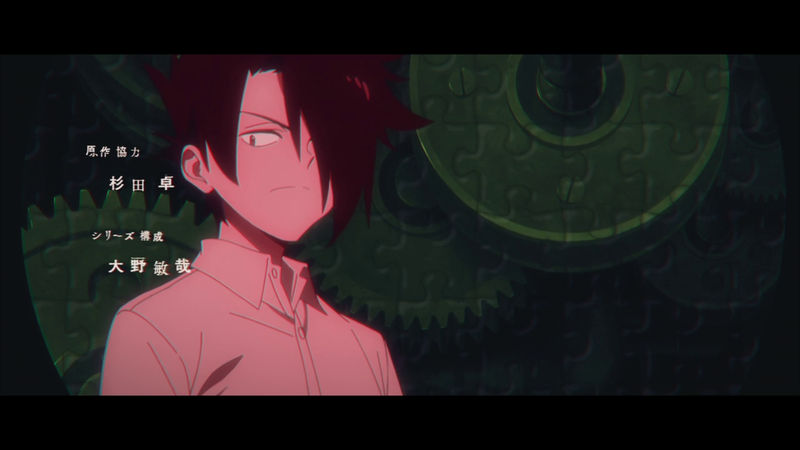 Your observations and dissections of what makes TPN’s anime so visually deliberate and amazing are themselves incredible! I hope to read many more like this from you as the series continues!